Fresh & Fab Look All Day, Everyday! I was feeling a little drab lately but then these goodies from Etude House, Tony Moly and Leaders came my way. You cannot not look fab when you have all these beauty products in your hands, right? Have fine lashes? 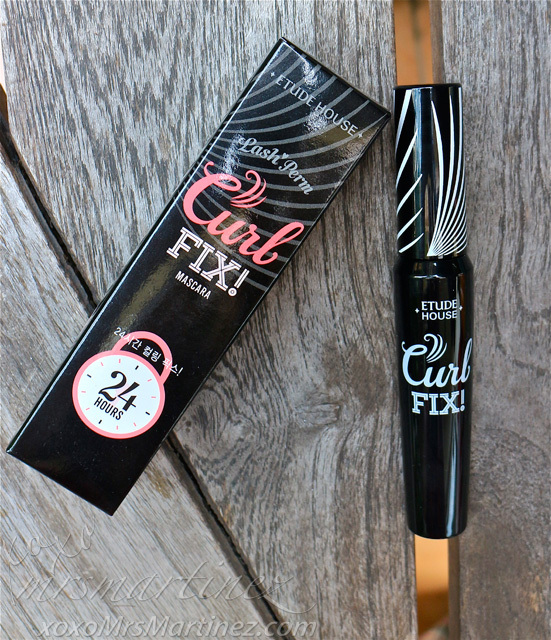 Etude House Lash Perm Curl Fix! Mascara 24 Hours can curl up your eyelashes for up to 24 hours. No more drooped lashes with its latest innovation called Curl 24HR Technology, plus, ZERO smudge for that fresh look all day! 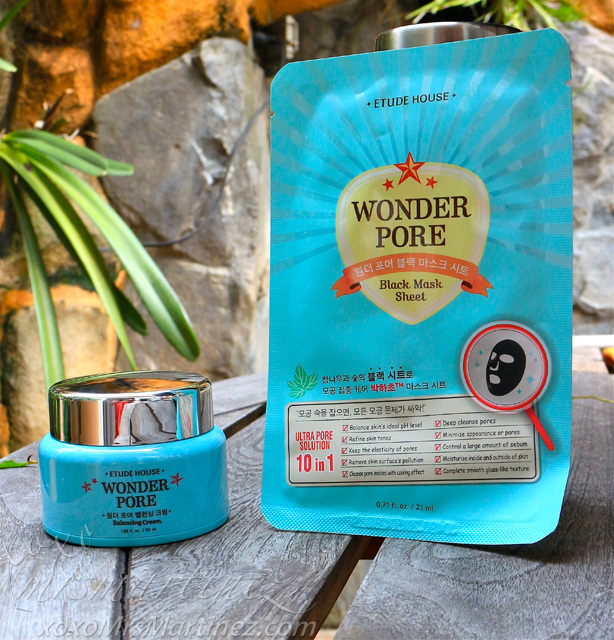 The Wonder Pore line has a huge following and has always been a favorite among Etude House's Princesses. Today, I am introducing you to two of its latest products- Balancing Cream and Black Mask Sheet. While the Wonder Pore Black Sheet Mask Sheet controls sebum and cleans pores*, the Wonder Pore Balancing Cream contains peppermint extract with a formula that evens out the pore's oil and moisture balance for smooth pores. A perfect pair for shine-free skin! *Black Mask Sheet contains oak free charcoal cooked in kiln with temperature over 1,000 degrees. How would you like to have a tattoo type eyebrow that promises to last for a week without the pain caused by permanent tattoo? 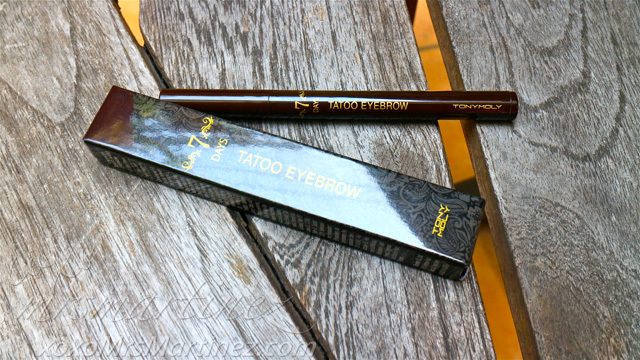 With TonyMoly's "Easy Self Tattoo Eyebrow" called 7Days Tattoo Eyebrow, there's no more excuse not to look made-up everyday. You can draw beautiful eyebrows that does not erase even after washing your face at night. This is one brilliant beauty product that I wish every Domestic Diva should have in her makeup kit! 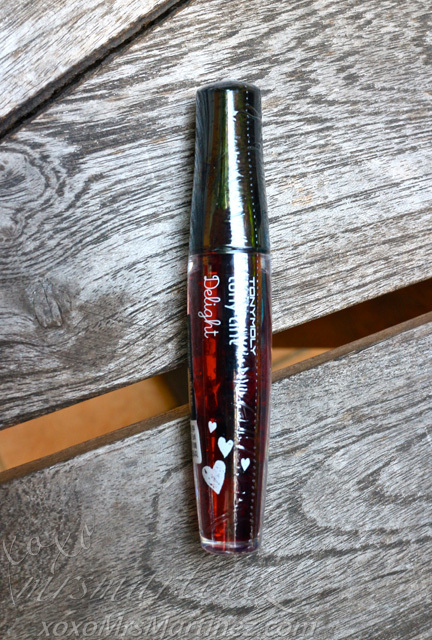 I love 2-in-1 beauty products like Delight Tony Tint- it's a cheek-and-lip duo that every girl can wear. It has 90% moisture base and contains Rosehip Oil, Jojoba Oil and Argan Oil that protects lips from drying. Guaranteed to give you a vibrant color in a single swipe! Also available in Cherry Pink. There's no excuse not to take your makeup off at night, Blast Fresh Cleansing Wipes is a compact, easy-to-carry makeup cleanser. It is a water-type facial cleansing tissue. It contains baking powder that works effectively in removing stubborn makeup. It also has natural oil ingredients (Jojoba, Lavender, Olive, Argan and Avocado) that thoroughly wipes away remaining makeup and impurities with refreshing finish. Double Effect Lift (For Aging Skin) can keep your face firm, smooth and youthful. 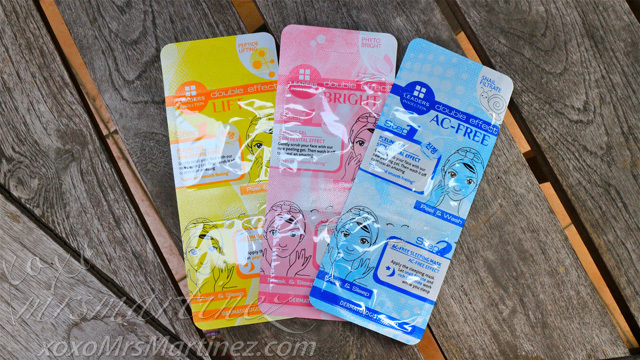 It is a two-step product that has a peeling gel and a sleeping pack. First step: Use the peeling gel that provides a skin revitalizing effect and mildly exfoliates, leaving the skin firm. Second step: Use the sleeping pack and leave it overnight for effective skin renewal. Use Leaders Insolution Double Effect Lift 2-3x a week. Another two-step beauty regimen is Double Effect Bright (For Dull Skin Prone to Hyperpigmentation). It cleans and immediately lightens skin for that healthy glow you ever wanted. Wake up to a brighter skin than the night before! Double Effect AC-Free (For Sensitive, Oily Skin Prone to breakouts and Scarring) peeling gel exfoliates dirt and dead skin build up, while the sleeping pack controls excessive sebum. It also controls, lighten dark spots and acne scars. Watch your skin glow minus the oily shine! Leaders Philippines is available at Festival Supermall in Alabang and Lucky Chinatown Mall. For more information, Like Leaders Philippines on Facebook and Follow @LeadersPH on Twitter.